Supreme Court 2015: Justince Kennedy’s middle ground on race. Kennedy’s middle ground on race. 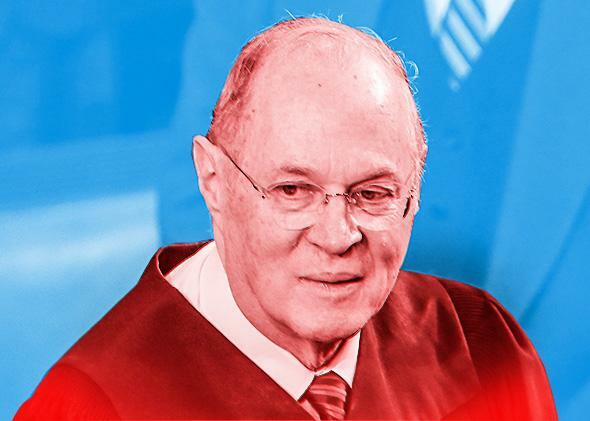 Supreme Court Associate Justice Anthony Kennedy. Marty, I think your observation about the extent to which the King decision is a kind of referendum on Justice Antonin Scalia’s brand of textualism is incredibly insightful. I also find myself wondering if any of you were struck by the tone of the Scalia dissent; it’s getting a lot of attention for the whole “argle bargle 2.0” verbiage (Applesauce! Jiggery Pokery! SCOTUScare!) but is there something else worth saying about it? Is that what changed? Is the same strange schism that exists between the nihilist (“break government”) and pragmatic (“meh, government”) elements of the Republican Party playing out here between Scalia and Kennedy? At some level at least, Kennedy was consistent across Sebelius and King in that he seemingly believed government intended the exchanges to work. To be sure, Kennedy can get himself tangled up in what he defines as constitutional remedies and “constitutional concerns,” but the Texas Fair Housing Act case reaffirms that at least he understands—in some contexts at least—that we are not so much post-racial as exhausted. I have heard from some quarters that the liberal justices sacrificed far too much to sign onto this middle way of Kennedy’s. So curious to know your thoughts. Read the previous entry, by Kenji Yoshino. Read the next entry by Richard Posner.